XD That's funny! Upvote inbound. 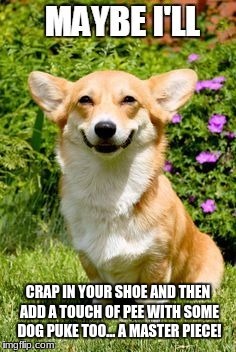 CRAP IN YOUR SHOE AND THEN ADD A TOUCH OF PEE WITH SOME DOG PUKE TOO... A MASTER PIECE!